At I0431A, June 5th - June 9th Be there or be square! An endangered species may be noticed by the spread of a photograph, and a worsening phenomenon may be improved by a photograph, which is the power of the images. The future and development that TWNTech is looking for is not just as an enterprise. The more social resources that an enterprise gains, the more social responsibility that should fulfill. Ever since the beginning of the creation of TWNTech, leading by our CEO Allen Yu, TWNTech has corperated with many volunteering organizations in old books & clothes donation to children from mountain areas. In 2018, with the joint efforts of TWNTech and EPNF, we decide to do something different to impetus public welfare strength growing strong. Every purchase you make is a donation that will be a part of EPNF for ecological protection and natural education, and every support you make delivers your love and concern to children from mountain areas. Enterpriser Photographer Nature Fundation(Hereinafter referred to as EPNF) is the first public welfare fund in China to focus on ecological protection, ecological poverty alleviation and natural education. The fund takes the Yangtze River finless porpoise as the symbol of the fund, uses the lens to save lives as the slogan, and uses the image as the most intuitive way to let more people understand the nature, protect the ecology, promote the conservation of biodiversity and green development.At the same time, unite the outstanding domestic entrepreneurs, ecological photographers, gather the power of images, in order to teach people to fish attitude, guide people in poor areas in the protection of the ecological environment while the correct use of ecological environment benefits. To address or reduce the incidence of poverty and to contribute to the research, observation, and protection of wetlands, forests, and wildlife species in China. In April 2016, EPNF and ChinaBiodiversity Conservation and Green Development Foundation(For short CBCGDF) established the special fund named EPNF in partnership. TheCBCGDF is one of the oldest public welfare funds in China and is a national public offering fund approved by the Ministry of Civil Affairs. This new cooperation makes the EPNF corporate photographer Nature Fund to raise donations and carry out public welfare activities, which marks the EPNF has entered a new era. EPNF plans to set up ecological protection bases, shooting sites, observation sites and various pro-ecological public welfare projects in poverty-stricken areas of the country. EPNF organizes local photographers' associations, businesses and entrepreneurs to use the base for a fee, and the proceeds are used to improve the survival and living conditions of local poverty.The program is called "Nature's Child" and is the long-term core program of the Fund. Founded by EPNF, CBCGDFIUCNCo-sponsored and successfully held the annual international natural images festival, which consists of three major parts including INPA International Public interest year of Nature Photography, International Ecological short Film Festival and Natural Sound.Among them, as an important part, the INPA International Nature Photography Public Welfare Competition has become the largest ecological photography competition and outdoor photography exhibition in Asia. In 2017, the first session of INPA toured seven cities around the world, and it was invited by the Convention on the Protection of Migratory Species of Wild Animals12th Conference of the parties (CMS COP12). 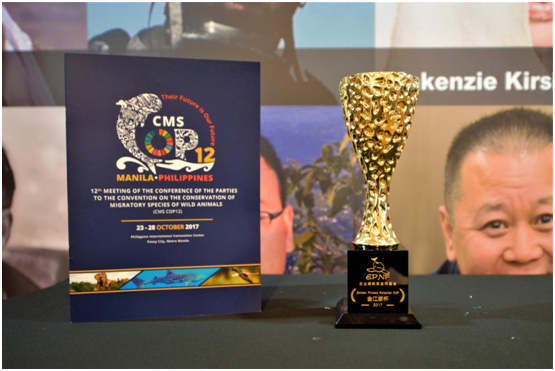 The TOP 30 finalist was invited to the exhibition venue, and this is the first time that the UNEP CMS invited the exhibition to the Conference of the parties. Exhibition of works were all collected by the United Nations Environment Programme. At the same time, EPNF established the first nature primary school in Qiandongnan of Guizhou province in September 2017 and which has been put to use. As of December 2017, nearly 8, 000 eco-photographers were registered as members of the EPNF. In this conference, Chinese ordinary people as the image of ecological protector appeared on the United Nations General Assembly with the largest number. INPA works go abroad and represent the image and attitude of the Chinese people. 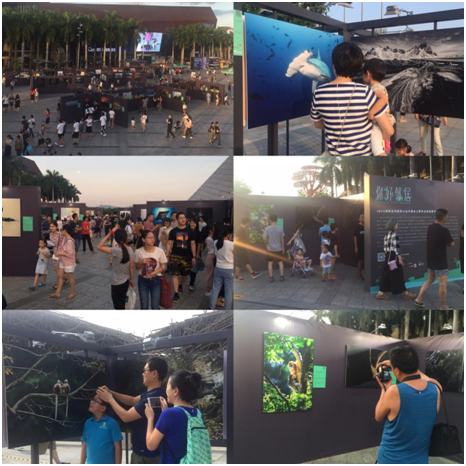 INPA declares"Environmental protection, Chinese eco-photographer in action! "to the world through CMS COP12 and also calls on photographersto take photos of nature" in the right way ". 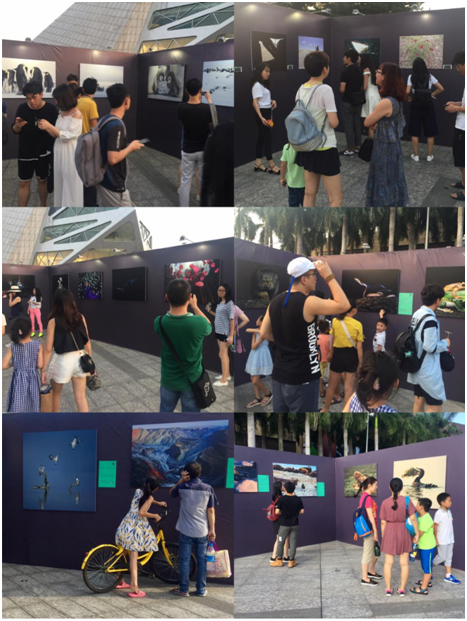 It gathers more forces of ecological photographers, jointly promotes the image public interest, promotes biodiversity protection, and spreads the positive energy of image public welfare.